I have lived in Pine Mountain for over 4 years now. And I must say, I love the mountains... 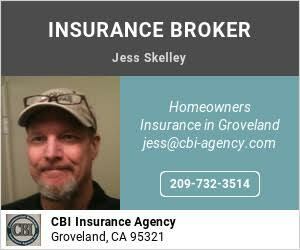 However , living in Groveland, Pine Mountain Lake and surrounding areas have a certain challenge getting quality, affordable homeowners insurance. Most of the standard carriers will not write a policy in a “brush” area because of the fire risk. And many that have insured you for years are starting to issue non-renewal notices. There a few selected Insurance Companies that will consider quoting. And of those, there are still challenges because of your distance to a fire hydrant, Distance to a fire department, Age of construction, Wood burning stoves or inserts and weather it is a Rental vs. vacation home. Every home that is quoted up here has to be “brush mapped” to measure the brush – fire exposure of your specific address. That report will determine the carriers that will be willing to provide a quote. Also, your homes “protection class” is a factor in pricing and carrier acceptability. Protection class for homeowners insurance is a number that indicates how vulnerable a home is to a fire. This number is calculated by determining local fire-fighting capabilities and rating fire districts. The higher the protection class, the higher the Annual Premium is likely to be. Homes located 1,000 feet or less from a fire hydrant and less than 5 miles to the downtown Groveland Fire Department will be classified as a protection class 4. Most of Pine Mountain Lake is a protection class 4. However, homes that are over 5 miles are automatically increased to a protection class 10, which will generate a higher premium. There will always be an inspection of the property after a policy has been issued. The inspection will produce a report that will outline any safety issues that may need to be addressed. I will review that report with you and help you respond to the recommendations that are required. Please feel free to contact me anytime with questions or concerns.